Over our many years as an appliance service provider we have come to realize that people really depend on their ovens to function properly. We receive calls for oven repair in Perth Amboy, New Jersey all the time and most of the time the customer is determined to get their unit repaired as quickly as possible. The plain and simple fact is; people love to bake. On a positive note; we love to service appliances. When you call Appliance Repair Perth Amboy, you get an experienced crew that is committed to providing effective service at a budget friendly price. We are dedicated to providing helpful oven service options that ensure your unit is always functioning in the best condition possible. Our oven maintenance team will provide affordable maintenance on all your appliances and make certain we catch problems before they have a chance to happen. We have the knowledge, industry specific training and polished skills to get the job done. At Perth Amboy Appliance Repair we want to make sure you can depend on your oven to work whenever you need it to. Our factory trained experts provide quality electric and gas oven repair service. We also provide reliable oven installation service for your convenience. Everyone on our staff is devoted to providing our customers with memorable customer service day in and day out. Our mission is to guarantee the fastest and most dependable repair service. We accomplish this feat by keeping quality replacement components on hand at all times. Whether we are changing out heating elements, bad switches, or fixing gas leaks; we always deliver the cost effective solution. You can call Appliance Repair Perth Amboy to install your gas oven professionally to ensure a tight connection or you can enlist us to maintain or repair your appliances. 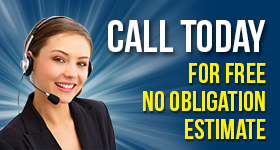 We are standing by to take your call now!